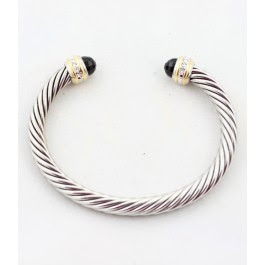 David Yurman's classic cable bracelet with black onyx retails for $1375 at Neiman Marcus. If you love the style but are trying to save some cash, check out these affordable and gorgeous bracelets from Mimi's The Look 4 Less. Evan was kind enough to send me one, and I LOVE it. 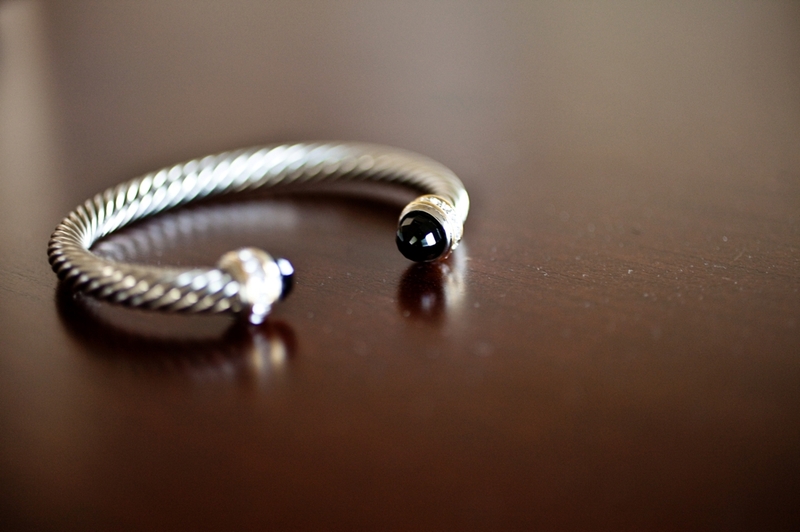 Seriously, this bracelet is beautiful. Get yours for $30 by clicking HERE (also available in blue, green or amber stones). I love this! I have been wanting a bracelet like this for a while. Is the option you mentioned sterling silver? Yes!! I love my cuff from Mimi's too. I wear it almost every day. I layer it for my arm parties and I wear it alone. It's perfect! I want to get a couple more. Erica - Not sure, maybe try emailing Mimi's to ask? Could you show a picture of it on your wrist? I'm debating between the smaller and larger cuff!